The cutthroat world of Game of Thrones isn't that different from your typical murder mystery game. 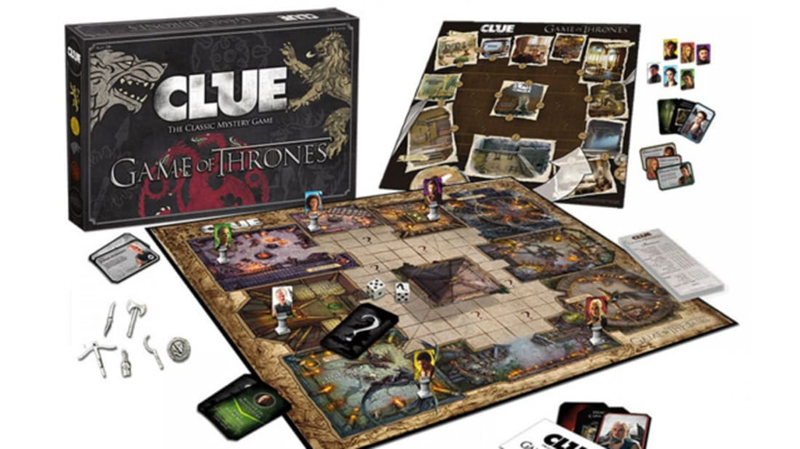 As an April Fool's joke, ThinkGeek thought up an imaginary game of Clue that incorporated the world of Westeros. The complex game concept included 48 player pieces, 48 weapons, 126 cards, and two six-sided dice, along with a gigantic four-foot-long board. The ThinkGeek game doesn't actually exist, but that didn't stop fans from coveting it. Luckily, HBO has created its own take on Game of Thrones Clue. The game, available on HBO's website for $50, features a double sided board, so you can solve a murder at the Red Keep or in Meereen. The rules are similar to those of the classic version of Clue: To win, players need to figure out the "Who," "Where," and "With What" of the murder mystery. The game features 12 possible criminals from the show, including the usual suspects like Petyr Baelish, Margaery Tyrell, and Cersei Lannister. (Each can commit the crime with six different weapons.) Learn more about the game on HBO's site.